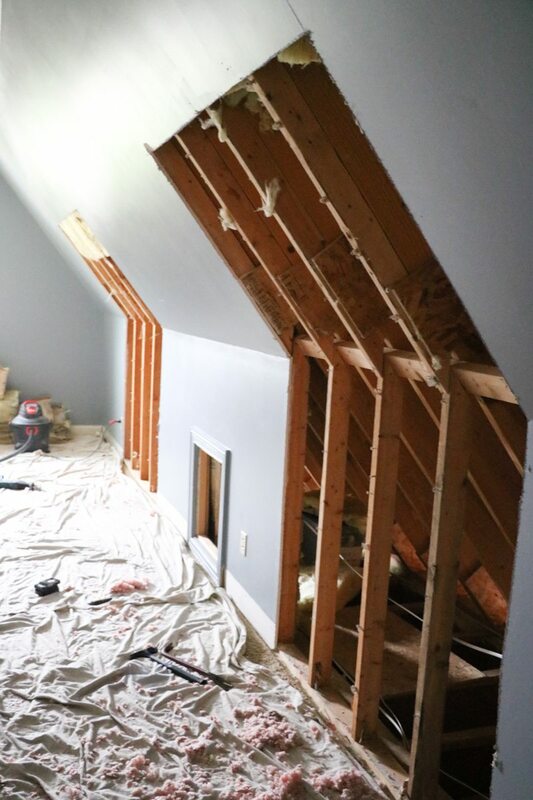 Adding a Fifth Wall to the Man Cave | VELUX Skylights - Sincerely, Sara D.
This is a sponsored post written by me on behalf of VELUX Skylights for IZEA. All opinions are 100% mine. 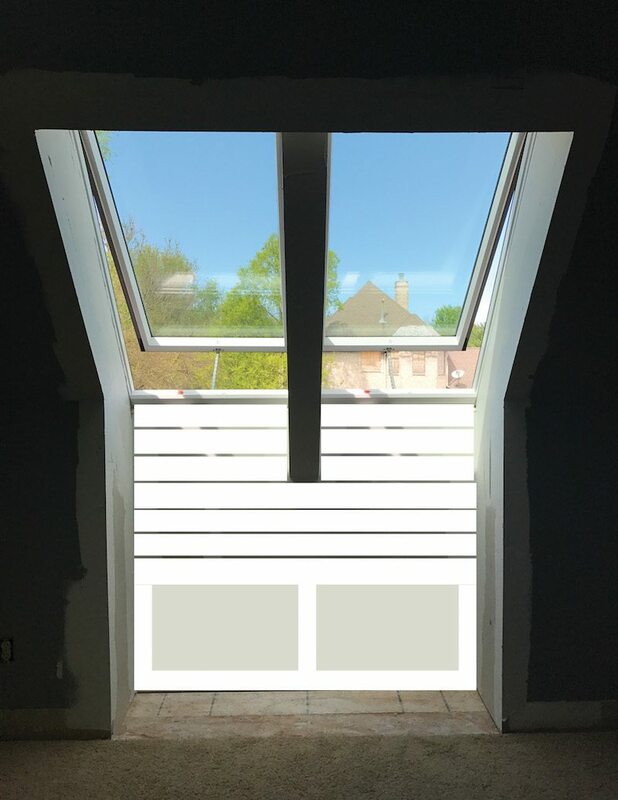 Our man cave is in the process of getting a gorgeous makeover thanks to VELUX No Leak Solar Powered “Fresh Air” Skylights. The room spans the entire length of our three-car garage, and it only had one tiny window at the end of the room. The space has always felt dark and closed in. The popcorn ceilings were recently removed so we could make better use of the large slanted ceiling. With the skylights, we wanted to make the most of our ceiling, also knows as our fifth wall. 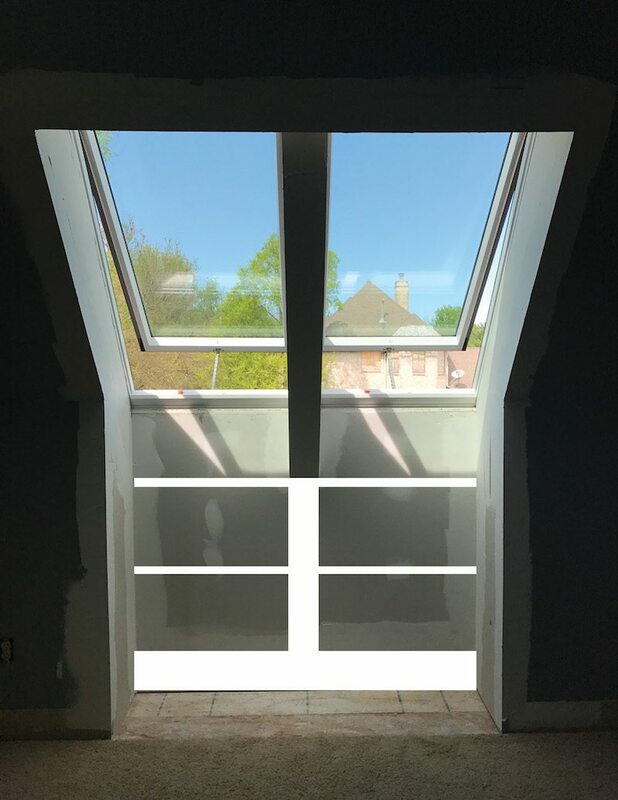 Four Skylights were added to the North wall of the room, and we worked with Randy and the crew of Circle City Skylights for the skylights installation. 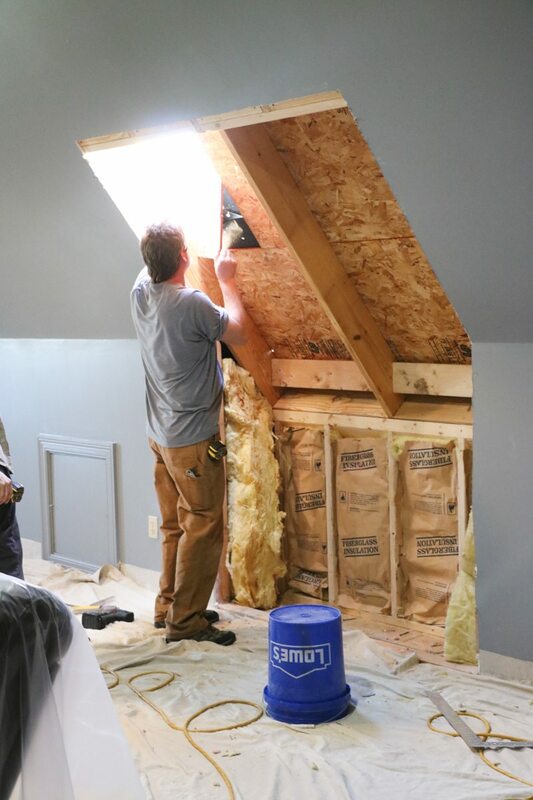 The skylight crew began by cutting into the dry wall in two sections where they would install two skylights in each space. 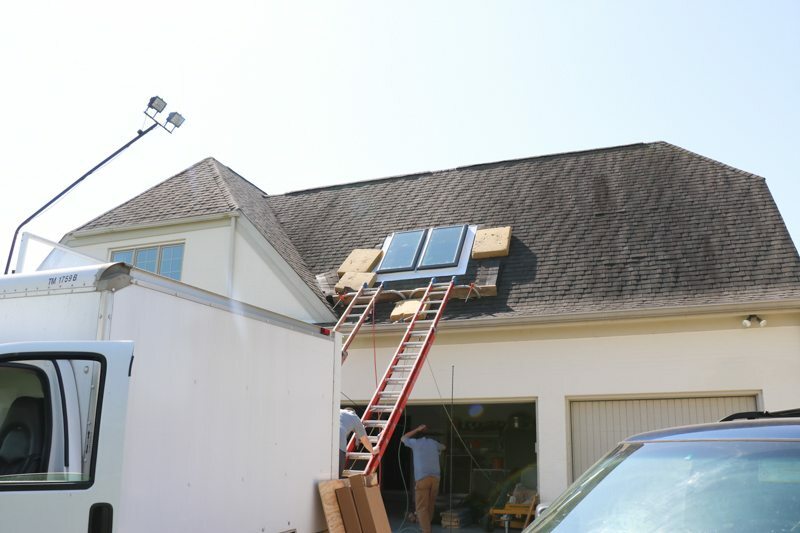 Circle City Skylights are 5-star skylight specialists for VELUX skylights, so they are well-trained and extremely knowledgeable on skylights. Since we had quite a bit of crawl space behind the walls, we used the extra space to our full advantage. 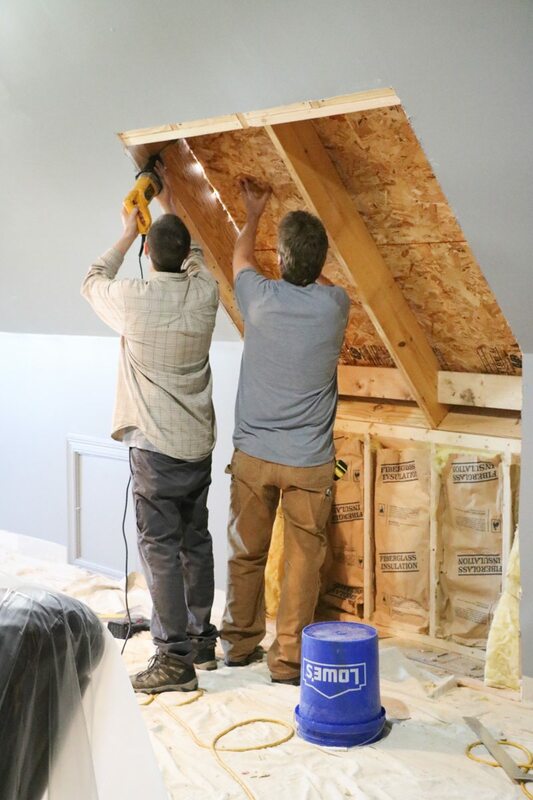 The support beams were rebuilt by Randy and his crew to allow for the four separate skylights. 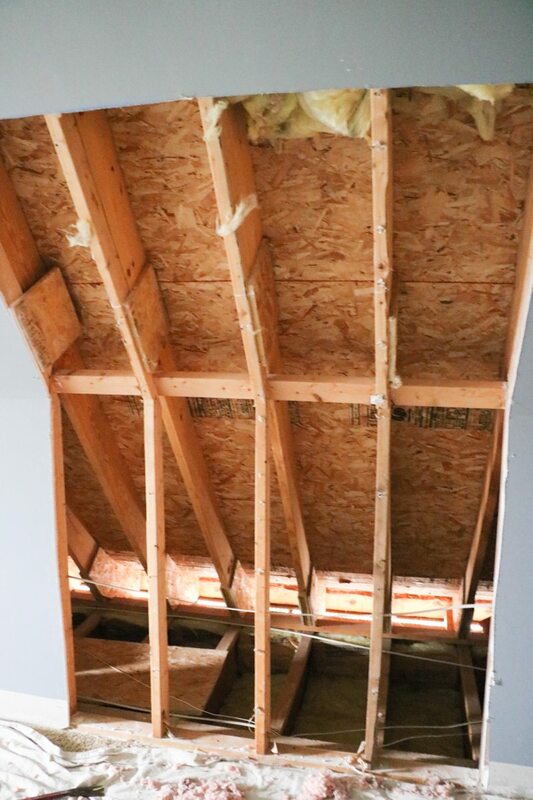 Once everything was in place and ready for the skylights, the roof was cut away. 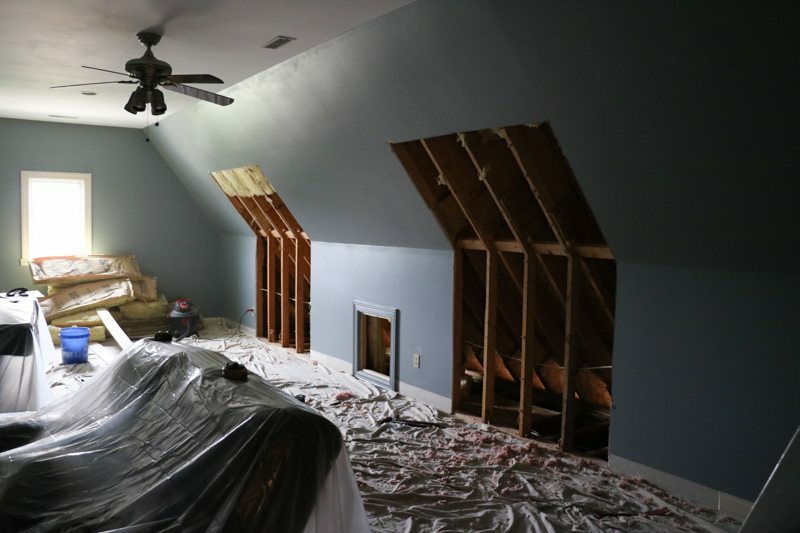 Light instantly flooded the space with the four new skylights. The skylights are solar-powered with energy-efficient glass. We will have peace of mind with VELUX skylights because they come with a no leak warranty on both product and installation. 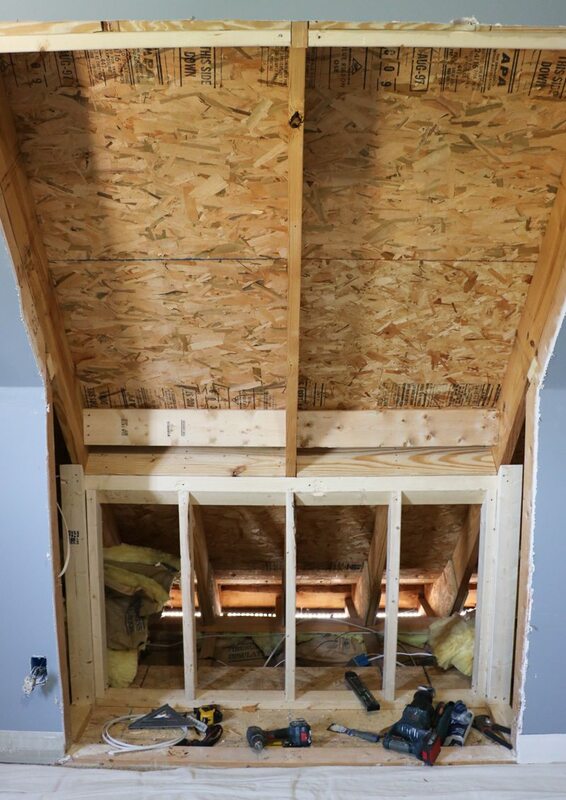 It was amazing how much of a difference the skylights made in the man cave (whyskylights.com). Light fills the space and makes the room feel larger. Solar skylights blinds for light control will be added because this is where all of our television watching happens. What was the ceiling has become a fifth wall and makes much better use of the space (Find more 5th wall design inspiration at www.whyskylights.com). 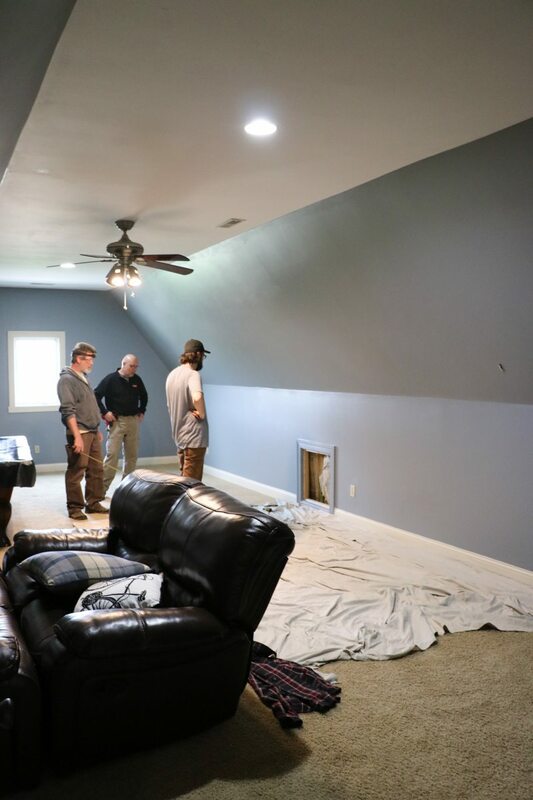 The man cave already looks so much larger and more inviting, and we all find ourselves wanting to spend more time in the room (much to my husband’s dismay). 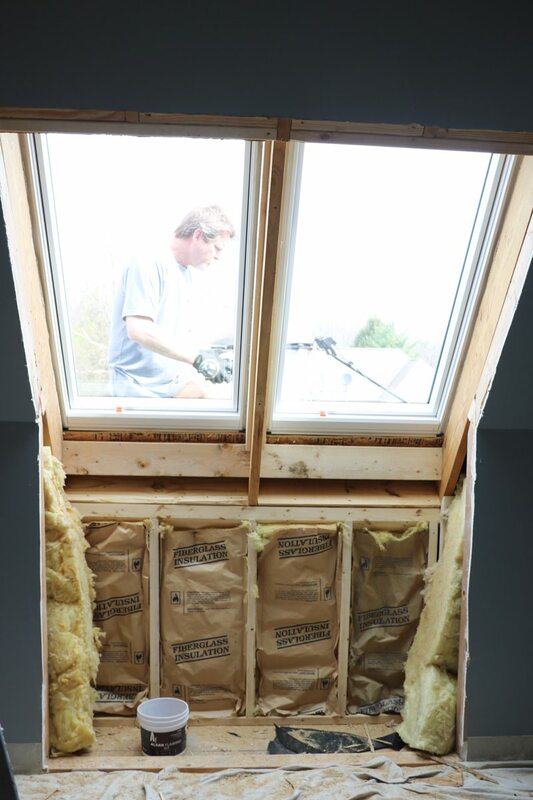 Once the skylights were installed, we began discussing how to make the best use out of the area below the skylights. Our plan was to make a bookshelf under one of the pair of skylights. And a bench (with a shiplap wall) under the other pair of skylights. The bench and the bookshelves have been crafted and are finished. I cannot wait to show you the final reveal. I never thought I would say this, but the man cave is now absolutely gorgeous! The man cave is usually limited to my husband and his friends, but I am now so proud of the room and would love to entertain there. The man cave has been transformed into a gorgeous space the entire family will enjoy! Summer Home Tour | Sincerely, Sara D.